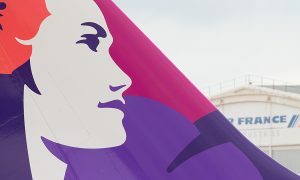 Hawaiian Airlines today announced plans to begin daily nonstop service between Narita International Airport (NRT) and Honolulu International Airport (HNL) starting July 22, 2016. Hawaiian’s new Narita route will complement its existing daily service to Tokyo Haneda Airport (HND), providing two daily flight options to travelers in the Greater Tokyo region. Starting July 22, 2016, Hawaiian’s Flight HA 821 will depart Honolulu daily at 3:30 p.m., cross the international dateline, and arrive at Narita International Airport at 7 p.m. the following day. Beginning July 23, the return Flight HA 822 will depart from Narita at 9 p.m., cross the international dateline, and arrive at Honolulu International Airport at 9:55 a.m. the same day. Passengers on Hawaiian’s Honolulu-Narita flights will enjoy comfortable legroom aboard the wide-body, twin-aisle Airbus A330-200 aircraft, which seats 294 passengers and features 18 seats in Business Class, 40 seats in Extra Comfort and 236 seats in Economy Class. Narita will be the airline’s 11(th) international destination and its fourth destination in Japan. Hawaiian launched service from Honolulu to Haneda in November 2010, Osaka in July 2011 and Sapporo in October 2012. 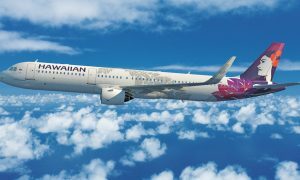 Now in its 86th year of continuous service, Hawaiian is Hawai’i’s biggest and longest-serving airline, as well as the largest provider of passenger air service from its primary visitor markets on the U.S. Mainland. 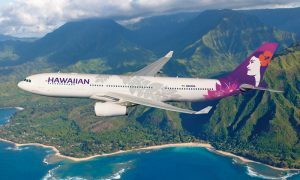 Hawaiian offers non-stop service to Hawai’i from more U.S. gateway cities (11) than any other airline, along with service from Japan, South Korea, China, Australia, New Zealand, American Samoa and Tahiti. Hawaiian also provides approximately 160 jet flights daily between the Hawaiian Islands, with a total of more than 200 daily flights system-wide.